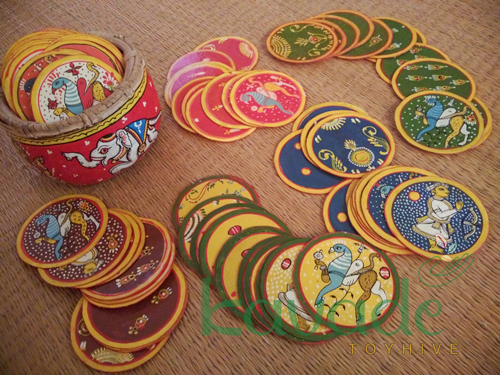 An ancient card game, Ganjifa is often associated with the Mughal period. This set is a collectors item. Available in the Navaganjur form (from Orissa).